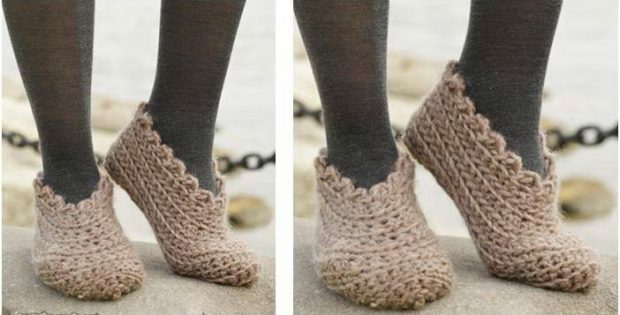 Pamper your feet with these shifting sand crocheted slippers. They’re so soft and so comfy, you’ll want to wear them all day! In fact, the pattern for these delightful crocheted slippers is ideal for confident beginners. The pattern for these comfortable crochet slippers includes instructions on how to make them in four different sizes. This pattern is another wonderful design by the amazing team over at Drops Design. You can access the FREE pattern for this pair of snug crocheted slippers from their website. To access the FREE pattern for these lovely crocheted slippers, please click on this link: Shifting Sand Pattern.